Robin H. Everhart is the Senior Vice President & Chief Diversity Officer with Cintas Corporation. 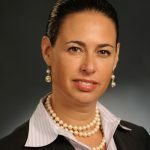 A native of Connecticut, Robin earned her BA from the University of Georgia and spent several years prior to Cintas building and maintaining comprehensive compliance programs for Fortune 500 companies. When not working or lending her services to the community, Robin enjoys spending time with her husband and their three wonderful daughters.